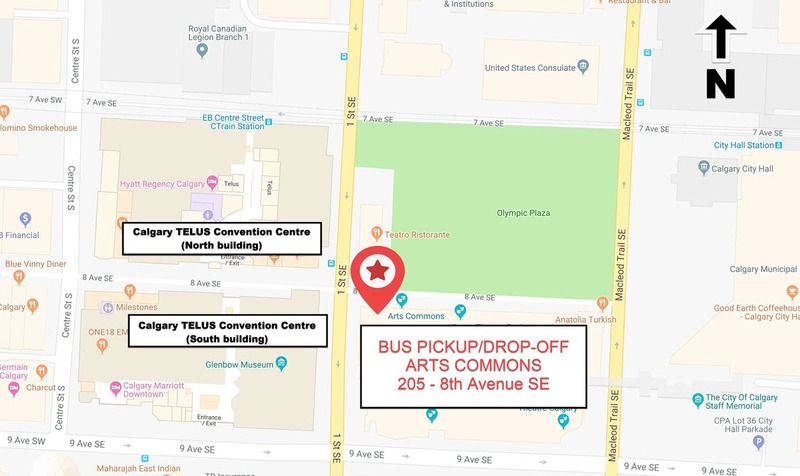 Delegates are able to park at Calgary Zoo and take a bus to downtown bus hub located at ARTS COMMONS Jack Singer Performance Hall located at 205 8th Avenue SE. Parking at Calgary Zoo is $10 per day. Shuttles start at 7:30 am and end at 4:30 pm each day. 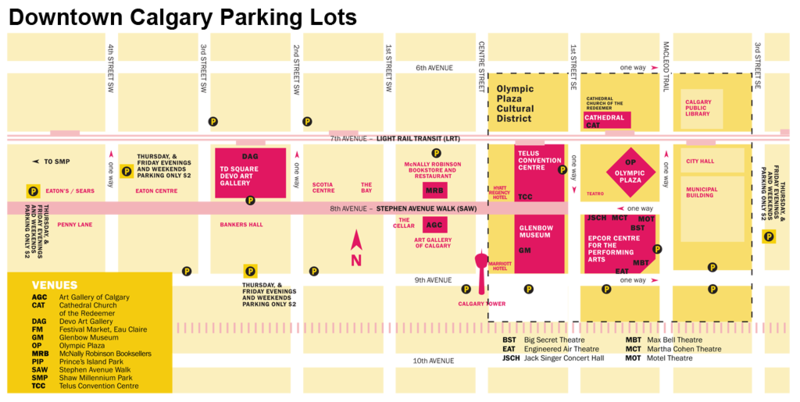 Delegates are able to park at Winsport and take a bus to downtown bus hub located at ARTS COMMONS Jack Singer Performance Hall located at 205 8th Avenue SE. Parking at Winsport is FREE. Shuttle pick up at Winsport is outside the Pick up at West Overflow Parking Lot. Shuttles start at 7:30 am and end at 4:30 pm each day. Shuttles operate between the hours of 7:30 am - 4:30 pm each day. ARTS COMMONS Jack Singer Performance Hall located at 205 8th Avenue SE.